AIR New Zealand has teamed up with some of the world's hottest surfers for its latest safety video, launching today. Among those on the Safety Safari video are past and present world champions, New Zealand's best surfers, a big wave legend and two of the world's most popular women surfers on social media. It was filmed at Malibu, California, Australia's Gold Coast and at Raglan and Piha in this country in mid-March and the film crew and the nine surfers had to work around Cyclone Pam to find suitable waves here and across the Tasman. Air New Zealand head of global brand development Jodi Williams said filming also had to be done in a tight window around the surfers' competition and other commitments. "We had a period to two to three weeks to split the shoot up and based on working through weather patterns so we didn't do it in sequence." The video blends in the safety message with surfing action, stand-up paddle boarding and in the tradition of a surfing road trip movie there's the scenes of chilling out around a bonfire on the beach and cruising in an old station wagon. There's plenty of split screen scenes, GoPro footage and a catchy backing track. It's the 11th of the safety videos that have tens of millions of online views around the world and airline marketing boss Mike Tod said the surfing film is was aimed at creating awareness of three locations the airline operated in. By involving surfers from Brazil and Japan as well the airline hopes to create interest in those countries too. Brazilian Gabriel Medina is the reigning world champion and the airline will later this year begin flying to that region with services to Argentina while Masatoshi Ohno is a former Japanese champion and has a strong social media following among young people in that country, a segment Air New Zealand regards as a growth market. "What we've learned over the past six years is that the safety video can do a fantastic job of supporting the market development team to drive revenue," said Tod. "A key aspiration with this video was to support the teams here in New Zealand and in the US and in Asia and to a degree in South America." Air New Zealand head of global brand development Jodi Williams said as the videos contain less footage of aircraft cabins, the airline and movie makers needed to get more creative. The video out today shows oxygen masks dropping from a lifeguard tower at Malibu, paper lanterns floating in the air to represent floor lights, and airline seats parked on the beach on the Gold Coast. Williams said the videos were vetted at every step of the way to ensure they met Civil Aviation Authority safety regulations. 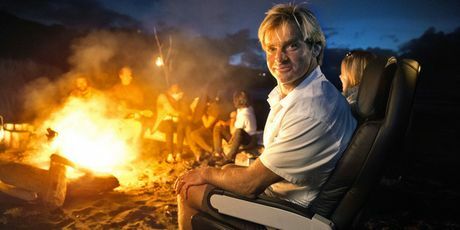 Surf legend Laird Hamilton is appearing in Air NZ's new flight safety video. 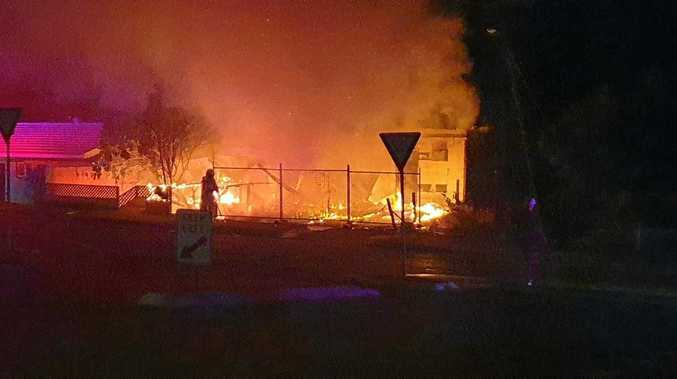 "We bring in our safety team right from the get-go. They're actually there at the shoot so while we always continue to push boundaries there's a fine line between that and delivering a CAA-approved safety message." The airline will not discuss what the surfers were paid but said those starring in the videos did not get huge fees. The airline did try for 11-times world champion Kelly Slater but he has expanding commercial interests, is still on the elite championship tour and a propensity to take off to wherever the surf is good in his free time. An earlier Air New Zealand safety video used actors and scenery from The Hobbit.